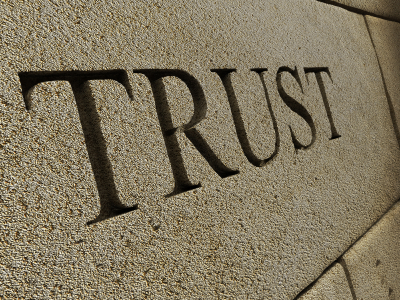 Knowing whom to trust is an important social and business skill. But it’s not easy to be accurate, and contrary to popular opinion, we don’t give it much time. Two seconds – thirty seconds, tops – that’s all it takes to assess the confidence, competence, status, likeability, warmth, and – yes – trustworthiness of someone we’ve just met. In fact, it’s impossible not to make these snap judgments about people. Our brains are wired that way. Because few of us have the mental agility to consciously perceive and process all the factors needed to make these calculations, we rely on unconscious estimates – or guesses – based on our past experiences and preconceptions. These estimates are also highly influenced by surprisingly small factors, like where we meet someone, what they wear, what their voices sound like, whether their posture mimics ours, if they mention the names of people we know or admire, and even the shape of their faces. It may surprise you to know that any of these factors can enhance or undermine someone’s credibility to the extent that it actually nullifies our ability to make sound judgments about them. Researchers at the Kellogg School of Management undefinedused subliminal cues, such as mentioning the name of a good friend, to trigger feelings of trust for a stranger. These studies also showed that a potentially risky decision to trust someone can begin below an individual’s conscious awareness – before there has been time to evaluate or verify the subject’s track record, for example, or inquire about his reputation. Did you know that there are facial features that we innately trust or mistrust? By studying people’s reactions to a range of artificially generated faces, researchers in Princeton’s psychology department found that faces with high inner eyebrows, pronounced cheekbones, and a wide chin struck people as trustworthy. Conversely, faces with low inner brows, shallow cheekbones and a thin chin were deemed untrustworthy. Of course, you and I realize that eyebrow shapes and cheekbones have no relationship with trustworthiness, but unconsciously we override our rational minds and make an instant and instinctive judgment. It’s a well-known principle in social psychology that people define themselves in terms of social groupings: Any group that we feel part of is an “ingroup” and any group that excludes us an “outgroup.” We think differently about members in each group and behave differently toward them. It is far easier to trust someone who comes from the same background or has similar interests. Even relatively small similarities, like rooting for the same sports team or attending the same seminar, can create a bond. We all have a tendency to make judgments about another person’s integrity and trustworthiness based on our ideas of appropriate behavior. This shows up in lie detection when we believe that we know how we’d act if we were telling the truth – and that other truthful people would/should behave the same way. In reality, there is no universal behavior that signals deception or honesty. People are individuals with their own unique set of “appropriate” behaviors. Unfair though it may be, and even if we proclaim otherwise, we judge people by their appearance. And we automatically assign favorable traits to good-looking people, finding them to be more likeable, competent, and honest than unattractive people. Daniel Casasanto, a psychologist at the New School for Social Research, found that right-handed people associate right with good and left with bad, and that left-handers make the reverse associations. His research also demonstrated that we are actually biased in favor objects and people located on our preferred side. So, if you are right-handed, when someone sits to your right, you may be inclined to view his/her opinions more favorably. There is a magician’s trick called the “Vanishing Ball Illusion,” in which a ball tossed in the air seems to disappear – but in reality is never actually thrown. The trick depends on the magician’s skill in creating such a strong expectation of the throw that the audience actually hallucinates having seen it. The trick works because we are psychologically programmed to see what we expect to see. Which is exactly how biases highjack our ability to judge trustworthiness. Whenever we meet new people, our brain automatically and immediately begins to categorize them in some way – male or female, same or different, friend or foe – in order to predict what is likely to happen next. In those first seconds, we unconsciously decide whether or not to trust. Once we are convinced that someone is or is not to be trusted, we will go through all sorts of mental gymnastics to reinforce that initial judgment. The first step to making better decisions about whom to trust is to realize that we are all biased. Biases result from the mental shortcuts that our brains revert to when facing otherwise overwhelming information-processing demands. The process of deciding whether or not to trust others depends on the category we’ve instantly and unconsciously assigned them to – and our past experiences with people from that group. While these mental shortcuts work reasonably well most of the time, they also leave us vulnerable to a variety of judgment traps. This is especially true when it comes to trust.